Welcome to the website of the Royal Bermuda Regiment! Since 1965 our Regiment has stood ready to protect the people, property, livelihood and interests of Bermuda. We have been mobilized on average once every two years to assist in returning Bermuda to normality after disasters both manmade but mostly natural. In essence we have been Bermuda’s insurance policy in times of need, providing the ability to surge manpower and capability to reinforce other services, and in doing so have ensured our self-reliance and secured our independence. The 340 men and women of our Regiment are mostly reserves drawn from every corner and every profession of our island and who take a month out of every year to serve their country. 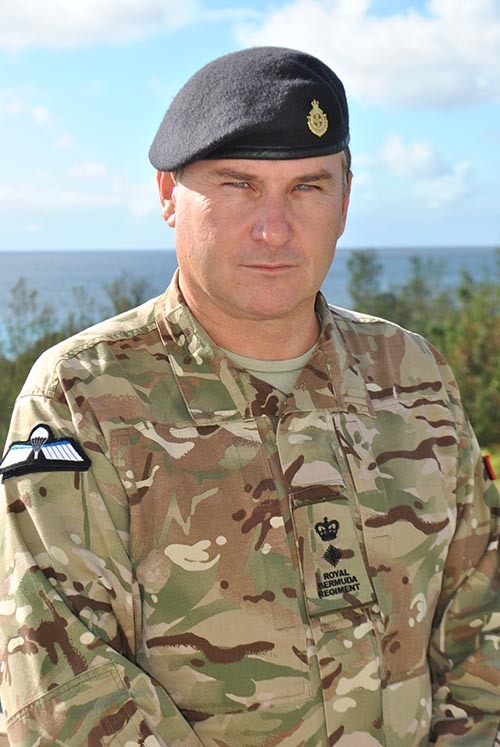 In serving we proudly continue an unbroken 400-year tradition of military service in Bermuda. I encourage you to follow us on Facebook, Twitter and Instagram and subscribe to both our YouTube and Flickr pages. It is my hope that you leave this site better informed about who we are and I encourage you to join us on our journey.